While the investigation into the Fort Hood shooting rampage that killed 13 people is still in its early stages, indications are that it is a "lone wolf" situation, senior law enforcement officials told CBS News correspondent Bob Orr. 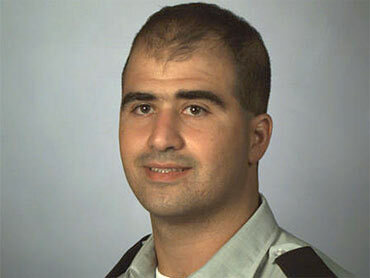 Authorities said 39-year-old Maj. Nidal Malik Hasan went on the shooting spree Thursday at the sprawling Texas post. He was among 30 people wounded in the rampage and remained hospitalized Friday in a coma, attached to a ventilator. All but two of the wounded were still hospitalized and a doctor warned that "everyone is not out of the woods." An Army medical official says Hasan has been transferred to Brooke Army Medical Center in San Antonio. Hospital spokeswoman Maria Gallegos says Hasan is in stable condition in the intensive care unit at the hospital on Fort Sam Houston outside San Antonio, about 150 miles southwest of Fort Hood. Meanwhile, CBS News has learned that the gun used in the attack was a FN Five-Seven, a semi-automatic pistol popular with Special Operations and SWAT teams that can be used with special armor-piercing bullets. Investigators have located a shooting range near Fort Hood where Hasan practiced in his spare time as well as the gun store where a few weeks ago he bought the murder weapon. Records indicate Hasan bought the weapon at a store called "Guns Galore" in Killeen, Texas, well before the Fort Hood shooting. The pistol has been dubbed a "cop killer" by those who have tried to stop its use. The most powerful type of ammunition for the gun is available only to law enforcement and military personnel. The FBI was also probing Hasan's computer records Friday looking for Web sites visited, contacts and writings. Investigators are also going through his cell phone records in an effort to piece together how and why Hasan allegedly gunned down his comrades in one of the worst mass shootings ever on an American military base. Though his motive wasn't known, some who knew Hasan said he may have been struggling with a pending deployment to Afghanistan and faced pressure in his work with distressed soldiers. Before the shooting, neighbor Patricia Villa said Hasan had days before the rampage and gave her some frozen broccoli, some spinach, T-shirts, shelves and a new Quran, the Muslim holy book. She said he returned on Thursday morning and gave her his air mattress, several briefcases and a desk lamp. Hasan's family said in a statement Friday that his alleged actions were and don't reflect how the family was raised. President Barack Obama ordered the flags at the White House and other federal buildings be at half-staff and urged people not to draw conclusions while authorities investigate. "We don't know all the answers yet. And I would caution against until we have all the facts," Mr. Obama said in a statement. A moment of silence was held Friday afternoon at Fort Hood and other U.S. military bases as a show of respect for the victims. Army Chief of Staff George Casey described the Fort Hood shooting rampage that left 13 people dead as a "kick in the gut" while calling for Army leaders across the country to review force protection measures. Casey spoke to reporters at a news conference Friday afternoon at Fort Hood. He says he's encouraged by the that have emerged the day after the attack. He cited a young private who was sitting in his pickup in parking lot and heard gunfire. Casey says the private went to the scene, pulled out four wounded and drove the hospital. Casey said about 20 different units were affected by the shooting. Secretary of the Army John McHugh singled out the 36th Engineer Brigade as especially hard hit, with four killed and 11 wounded. McHugh said officials have not determined whether a case would be pursued in federal or military court and that no charges have been filed yet. The shooting spree began as some 300 soldiers had been lined up to get vaccinations and have their eyes tested at a Soldier Readiness Center, where troops who are about to be deployed or who are returning undergo medical screening. Nearby, others were lining up in commencement robes for a ceremony to celebrate soldiers and families who had recently earned degrees. Soldiers reported that the gunman shouted - Arabic for "God is great!" - before opening fire, said Lt. Gen. Robert Cone, the base commander. He said officials had not confirmed that Hasan made the comment. Officials are not ruling out the possibility that some of the casualties may have been victims of "friendly fire," shot by responding military officials. "You had people without tops on. You had people ripping their pant legs off," said Sgt. Andrew Hagerman, a military police officer from Lewisville, Texas. "You could go around it," he said. "There was definitely a path." The gunman then spun around and charged at Munley with a gun in each hand, said her boss, Chuck Medley, director of emergency services at Fort Hood. He said Munley shot Hasan in the upper torso, allowing officers to take him into custody. Munley, who was shot in the thighs and wrist, was recovering Friday at a hospital. Hasan reported for duty at Fort Hood in July, after working at Walter Reed Army Medical Center in Washington for six years. Though he apparently had problems at Walter Reed, Fort Hood officials said they weren't aware of any issues with his job performance. One of Hasan's bosses praised his work ethic and said he provided excellent care for his patients.